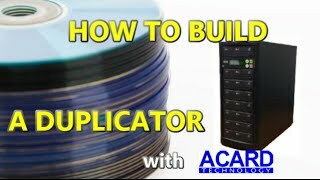 A standalone duplicator with copy controller supporting high speed SATA DVD/CD writers. With ACARD RISC CPU Engine, it doesn’t need connecting to a computer or require much learning. Simply through the LCD and the button on the panel you can use the copy controller to back up data, audio or video DVD/CD quickly. The first support SATA DVD drives for recording DVD/CD quickly. It is quite fit for general offices.